There are over 11 million Cubans made up of 70% whites, 10% blacks, and the rest all of mixed parentage. Intermarriage between the groups is quite common and the ethnic differences are being constantly blurred. This has led to disagreements concerning the exact configuration of the Cuban population. People of Asian descent make up one percent of the population and are mainly from China and other Far East countries. 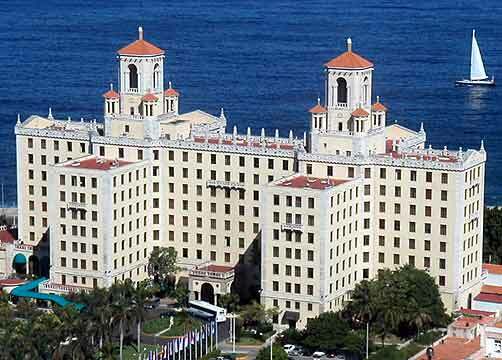 Millions of Spaniards immigrated to Cuba in the early part of the twentieth century. Officially, Cuba is an atheist state because of its Communist ideologies, but Catholicism brought in by the Spanish remains a dominant religion. The faith is practiced in tandem with other African faiths. The emigration of several hundred thousand to the United States and other countries has largely been seen as a result of the uncertain political conditions on the island. 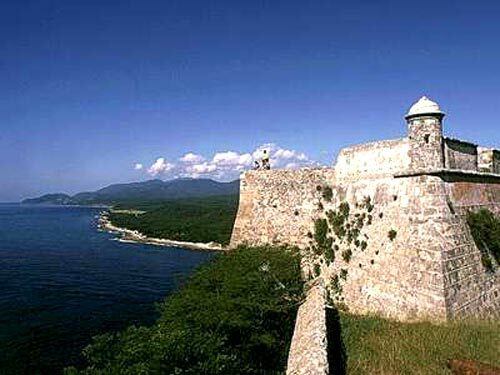 Cuba is an island in the Caribbean Sea, consisting one island and several archipelagos. It is a very isolated country due to its politics and continued disputes with its large neighbor, the United States. 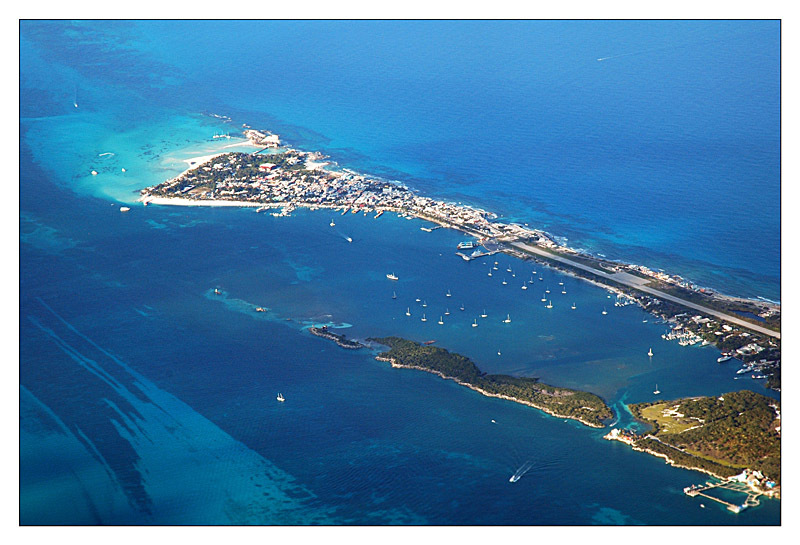 It is the largest island of the West Indies group of islands and also the westernmost. It is just 90 miles from the Key West in Florida at the entrance to the Gulf of Mexico. Cuba was the center of the Communist revolution that took place in many countries in South America and Africa, and this entailed a lot of support from the USSR, including large financial subsidies. The economy of Cuba went into a tailspin when the Soviets withdrew all these subsidies in 1990. Illegal immigration from Cuba to the United States is an ongoing problem. 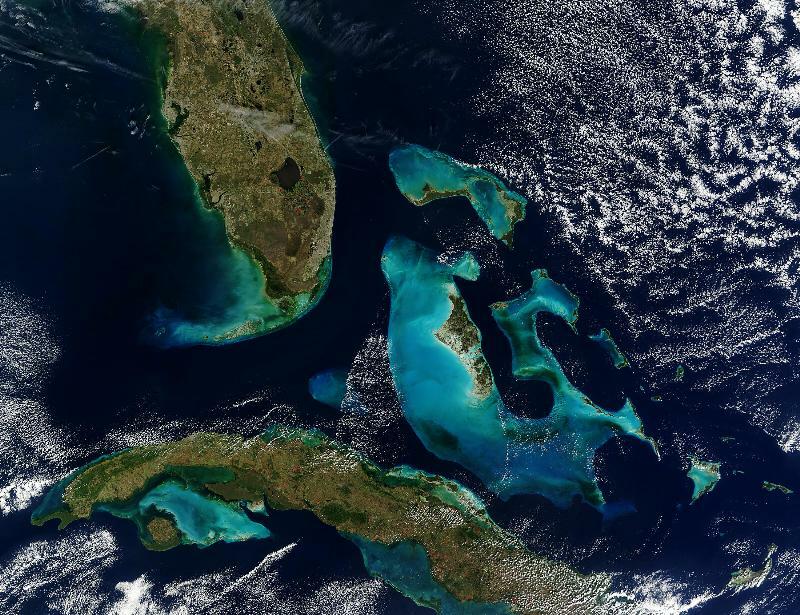 Cuba has a land area of 68,000 square miles with a 2300-mile coastline. Its only international borders are with Guantanamo Bay Naval Base of the United States. The island is over 621 miles long and 125 miles wide. The terrain is mostly rolling plains with some mountains and hills in the southeast of the country. The highest point is 6561 feet above sea level. The coastal areas are full of mangroves and swamps and white sand beaches. There is very little inland water area with the largest an artificial man made reservoir that is 70 square miles in area. The climate is tropical and is governed by the trade winds. The rainy season is from May to October. Cuba was inhabited by indigenous people when Columbus first sighted it in 1492. He claimed it for Spain and it remained so until the British briefly claimed it in 1762 before exchanging it for Florida. There were a number of rebellions against the Spanish rulers resulting in the Spanish-American war. This caused the withdrawal of the Spanish and Cuba became independent in 1902. The Americans continued to influence Cuba because of the trade policies until a revolution in Cuba led to the ascendancy of Fidel Castro in 1959. Castro turned to support from the Soviet Union and since this was during the Cold War between the two great super powers, the United States declared an embargo against Cuba that remains in force even today. The Monte mar Natural Park has many forests, marshes and crystal clear lagoons in its largely swampy area. 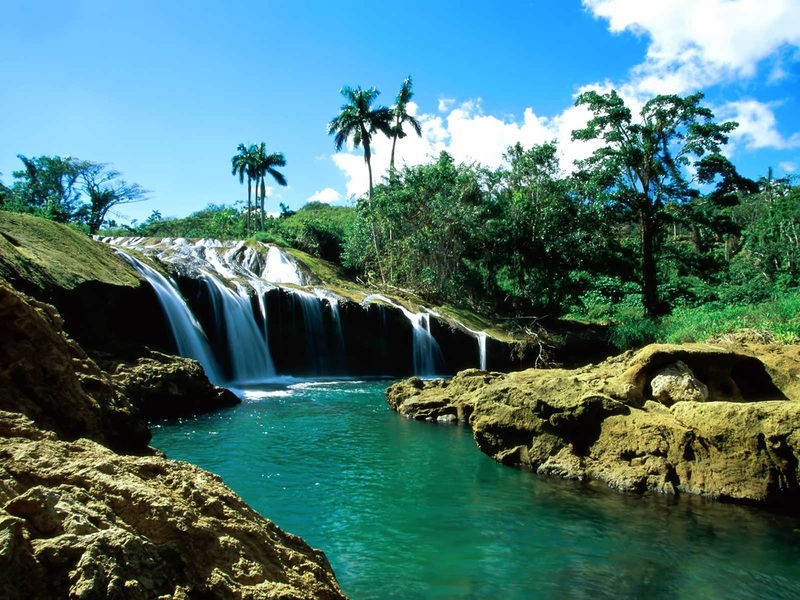 It has very exotic flora, many found only in Cuba, and a wide variety of bird species and crocodiles. Golden trout populates the fresh water reservoir, Treasure lagoon. A reproduction of a village built on pillars is another worthwhile spot to see, as is the largest flooded cave. Cuba's most famous export is its cigars and visitors to the island can take a tour of the factories that still depend on hand rolling. One of the factories still running was started in 1827. Cuba also has a very large cave system that runs more than 28 miles on eight different levels. Limestone formations of stalactites and stalagmites and large underground lakes are interesting viewing by the light of hand lamps. The natural state of the caves has been retained and no modern lighting has been introduced. Cubans, not withstanding the economic conditions in the country, are very fond of partying. So nightlife is full of music and dancing the salsa. There are many jazz clubs in the country with bands giving live performances. You can also attend classical music concerts during the Nice Music Festival. A number of festivals are held throughout the year, some lasting a month with classical, jazz, and Latin American music. Cabarets and live music shows are a feature of the programs in many nightclubs and live music from street bands is not uncommon. Cuba has been a meeting point for cultures from Spain, Africa, and North America, but the Revolution has left its imprint on the people. Cuban music is recognized throughout the world. Spanish is the official language though a many Cubans speak Haitian Creole. The communist influence has led to the use of terms like "comrade" when addressing people. The present constitution of Cuba allows complete religious freedom unlike at the time of the Revolution. 25% of the people are Catholic while a large number practice Santeria, a mixture of Christianity and the Yoruba religion from Africa. The cuisine is influenced by Spanish, African, and Caribbean cuisines. Creole cooking or criollo forms the basic method of cooking. Sofrito is a flavoring added to beans and other dishes and contains green peppers, garlic, cumin and onion, and oregano and bay leaves are also used. The mixture is sauteed in olive oil and added to the beans. Rice and beans make up part of the staple diet and either is mixed or served separately. A lot of tubers like potato, yucca, and malanga, as well as unripe bananas and corn are also added to dishes. Meat is available only through rations and is generally served with light sauces made from a combination of oil, garlic, onion and spices with lime juice or bitter orange juice. Tamales made with corn flour may have pork meat tied in corn leaves and boiled. Stews and soups are quite common and may be made from tubers, corn flour and beans.